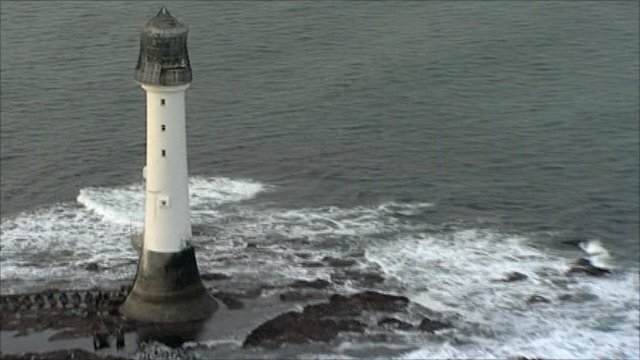 Lighthouse celebrates 200 years shining Jump to media player It is 200 years to the day since Robert Stevenson's Bell Rock lighthouse first illuminated the North Sea, 11 miles from the Scottish coast. 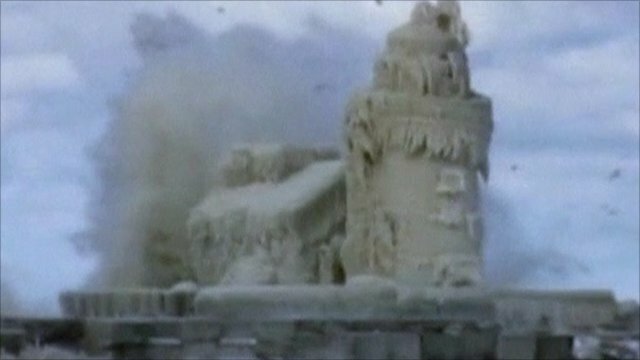 Arctic blast covers lighthouse in ice Jump to media player Frozen water sprayed from a lake in the US state of Ohio transforms a lighthouse into something more like an ice sculpture. 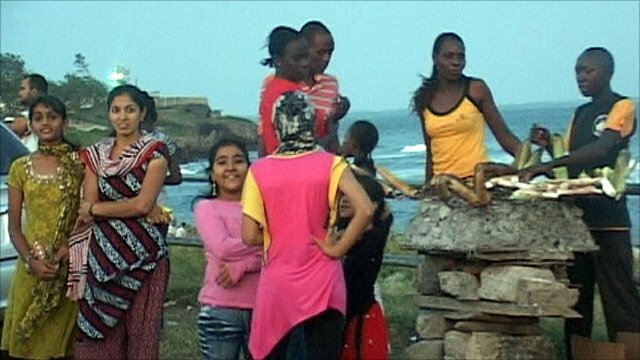 Close-Up: Mombasa's lighthouse Jump to media player For the last forty years, hundreds of locals in Mombasa, Kenya have gathered in the city's lighthouse pier area on Sunday evenings. It is 200 years to the day since Robert Stevenson's Bell Rock lighthouse first illuminated the North Sea, 11 miles from the Scottish coast. 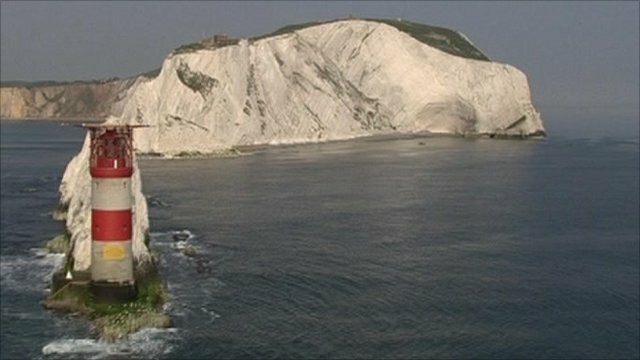 The granite tower has saved countless ships from peril and still remains an essential life-saving aid to navigation despite advances in radio and satellite technology. Scotland correspondent Glenn Campbell visited the Bell Rock to find out why it is so important.